In the wake of the news of the demise of SAAB GB, the warranty specialist, Warranty Direct, is offering SAAB owners 25% off any new warranty policy for SAABs less than three years-old. SAAB, which has traded in the UK for more than 50 years, went into administration on 29th November following a turbulent few years which resulted in suspended production in recent months. Most worrying for owners, however, will be the financial impact of the car maker's downfall, with the all important warranty protection at great risk. With tens of thousands of owners potentially set to lose their vehicle warranties, made all the more worrying considering their less than average reliability rating (www.reliabilityindex.co.uk), many owners could be left to stump up despite owning a nearly new car. In fact, 53% of SAAB 9-3s (2002 onwards) suffer faults in an average year, with 30% of those claims as a result of electrical problems. 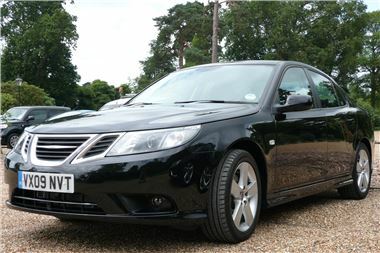 Warranty Direct managing director, Duncan McClure Fisher said: "These are pretty scary times for SAAB owners right now. There are very few people who can afford unexpected repairs in the current climate and when a SAAB goes wrong, which it probably will do, there's every chance owners will be left to stump up." "Under the Sale of Goods Act consumers may find some protection. If their car needs remedial work, depending on the fault and age of vehicle, they may be able to claim through the small claims court. Though there are question marks over the survival of its 58 franchised dealers (20 of which are exclusively SAAB). "Some solace will hopefully come in the form of our 25% discounted SAAB rates for comprehensive warranty cover." Warranty Direct is one of only a few warranty firms which are regulated by the Financial Services Authority (FSA) and therefore all of its customers are protected with fully insured policies for greater peace of mind.